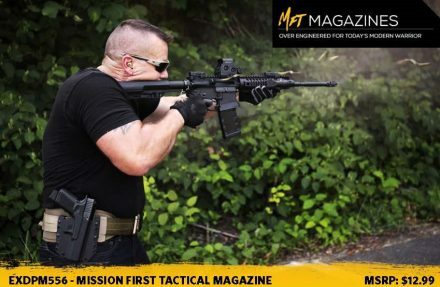 The EXDPM556 magazines are the latest addition to the MFT Magzine line-up. Over engineered for today’s modern warrior. Horsham, Pa. (November 2018) – Mission First Tactical, LLC (MFT™), a leader in USA-made rifle/carbine accessories, is proud to introduce the latest addition to the MFT magazine line, the Extreme Duty 5.56 Polymer Magazine (EXDPM556). Designed for the AR15/M4 platform but allowing for use with wide range of non-AR15/M4 platforms. Manufactured using the newest material technology and processes, the magazines with their next generation long glass fiber polymer construction offer the trifecta of perfection in structural performance; strength, durability and stiffness. The stiffness allows the magazine to maintain its integrity without additional weight with an additional benefit of top performance even at elevated temperatures. The longer length reinforcing fibers produce increased strength and prevents deformation and polymer fatigue. Additionally, the Extreme Duty 5.56 mags offer increased durability through a more efficient energy transfer between the polymer and the longer fiber filaments during an impact. A long-life USGI-Spec stainless steel spring is corrosion resistant. The four-way, anti-tilt, self-lubricating follower keeps the rounds aligned and makes mag feeding consistent and reliable, while virtually eliminating jambs. 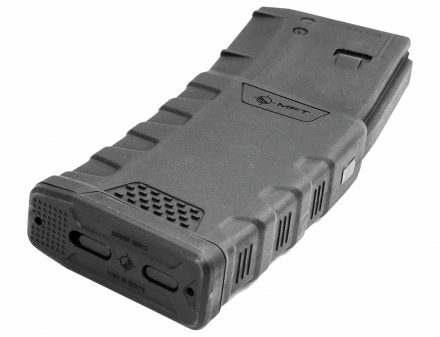 Confidence in handling the new Extreme Duty 5.56 mags is a piece of cake, even during weather or duress. The front and rear of the gripping surface is ribbed for a positive grip, even with gloves. An oversized bolt-catch provides enhanced reliability of the bolt-catch operation. The flared floor plate allows for an easier grip in handling and extraction and one-hand reloads. Wrapping up the multiple benefits to the newest addition to the MFT magazine line is a paint dox matrix to allow for easy marking and identification of magazines and the tool-less disassembly with the double floor plate safety release tabs. 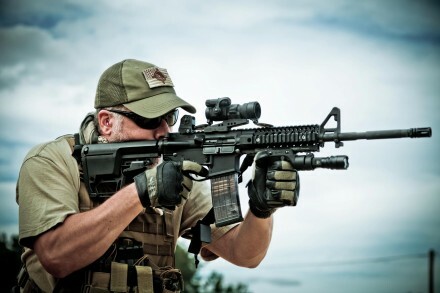 Mission First Tactical Extreme Duty 5.56 Polymer magazines are built for hard shooting and extreme treatment and shooting conditions and come with a Lifetime Warranty. 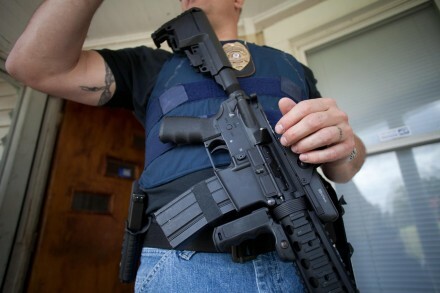 For more information on Mission First Tactical, visit www.missionfirsttactical.com. 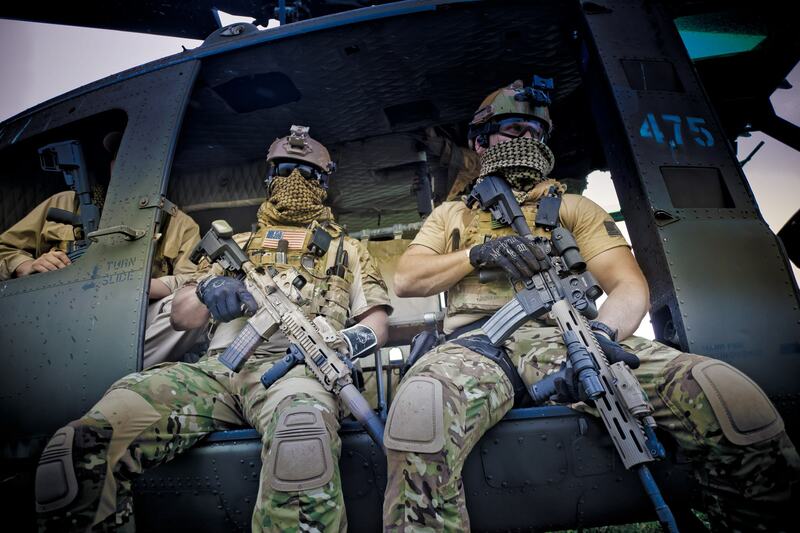 Mission First Tactical runs some pretty sweet “pictures of the day” featuring their gear; we thought we’d share. Read the full description for the various pieces of kit featured in this picture. Another shot of MFT gear in use. Good display of some MFT CQB gear on a rifle. Check out this trailer for the upcoming two-part series of Mission First Tactical attending the DPMS Outbreak: Omega 4 Zombie Shoot 2011. From the looks of the trailer, if you like the following: guns, bravado, a bit of humor and a fun shoot with plenty of zombie targets, then this is a video series worth checking out when its released.